A new date spot? Post college hangout? Another pretty place to offset your hangover with comfort food? Take your pick already. Diggin, with its bricked walls and pretty fairy lights has an outlet, in all its glory, in the heart of Chankyapuri! 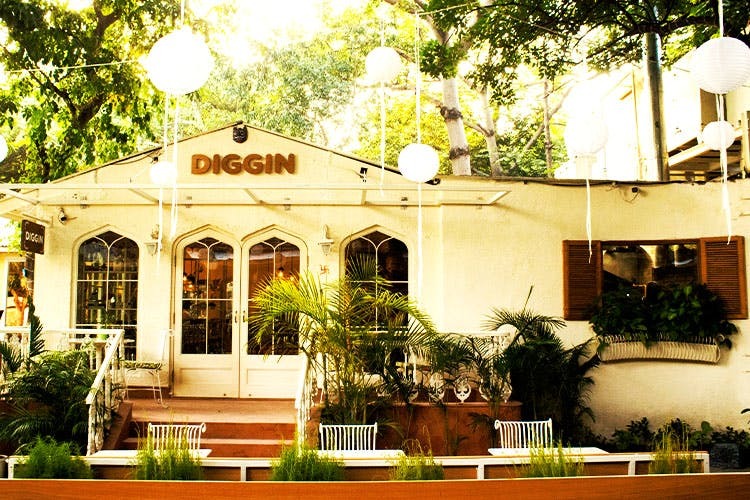 The enchanting hearts and balloons theme, and potted plants all over make Diggin undoubtedly one of the most stunning places you can have your favourite food at. Since we’re talking food, we should mention (for anyone who hasn’t been here) that it’s the kind of food that makes you feel like a loser for not having tried it earlier. #LBBTip: Try their killer Zucchini Fries, Bacon & Onion pizza, and wash it down with their divine Belgium Chocolate shake. Thank us later!